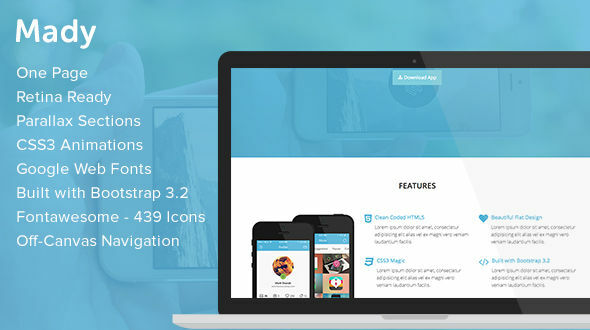 Madyis a single page responsive landing page for apps. It’s built on Bootstrap v3.2, with a clean flat design and retina ready. Images in the live preview are not included in the template.